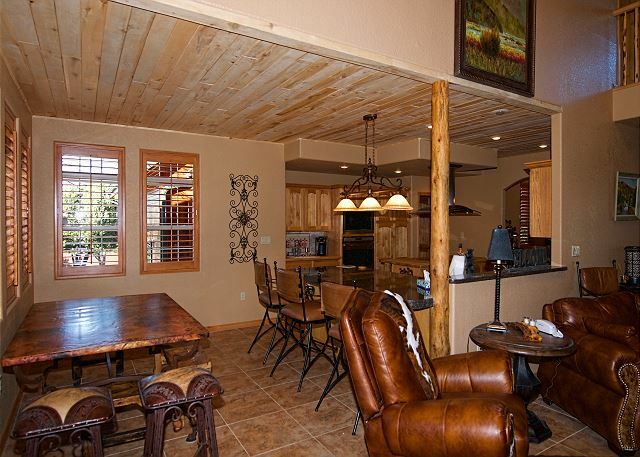 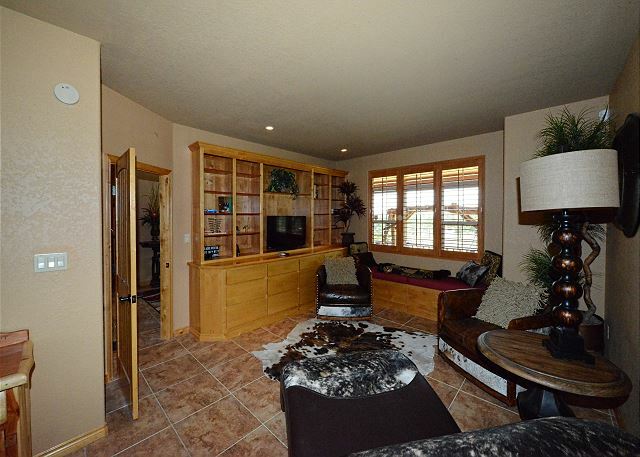 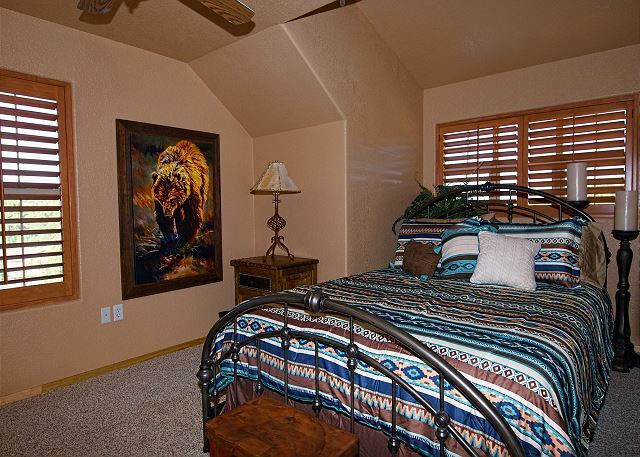 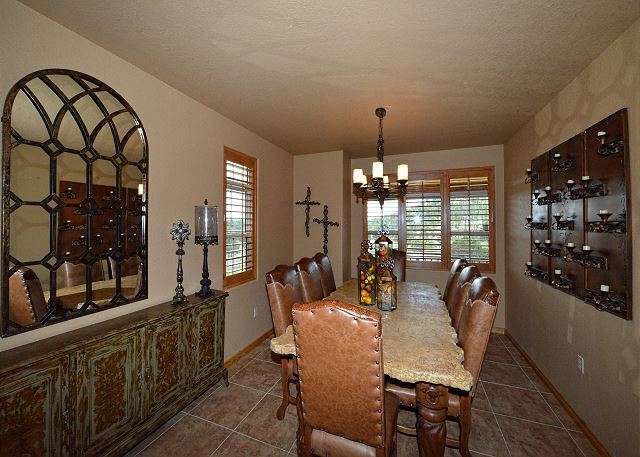 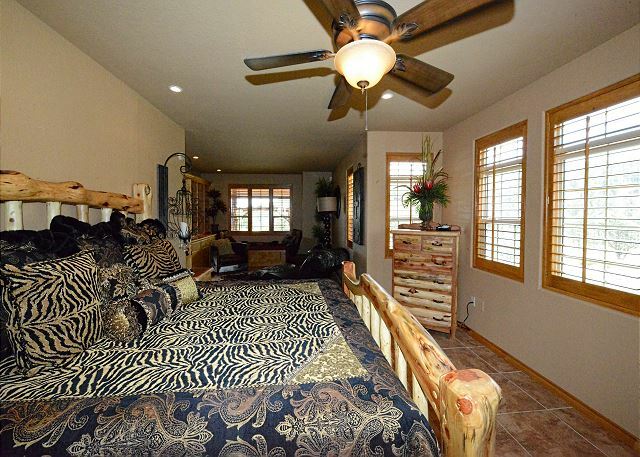 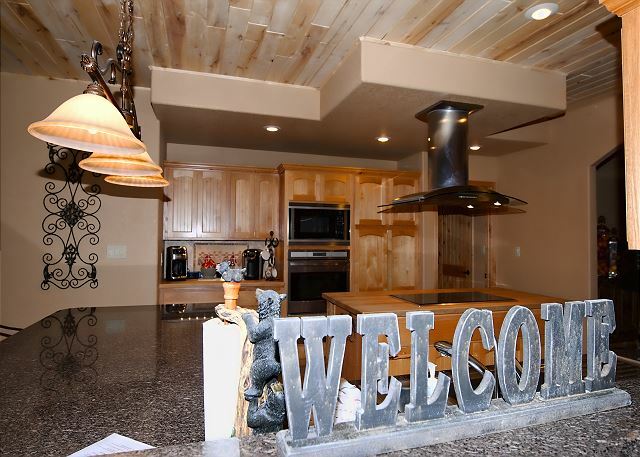 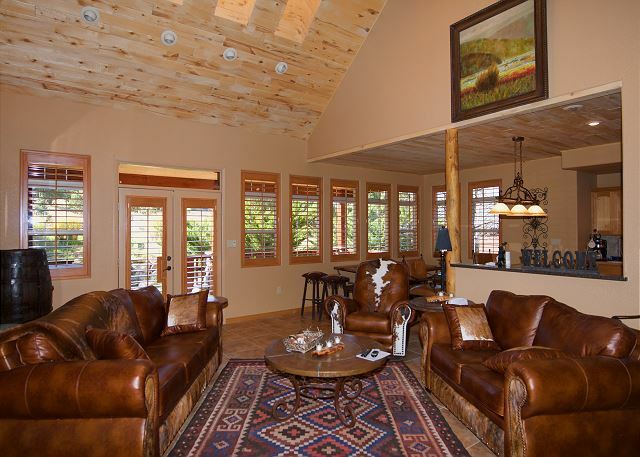 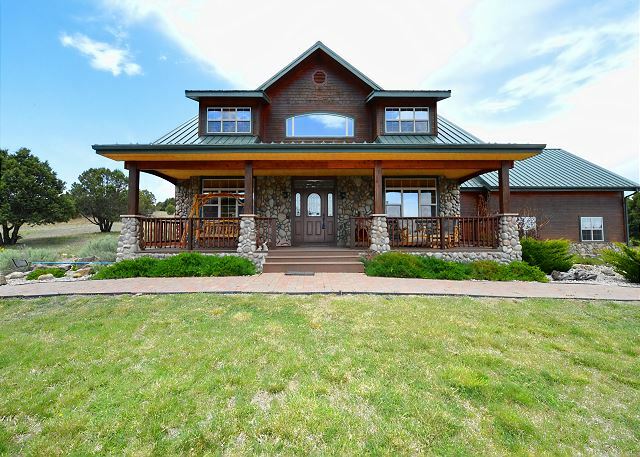 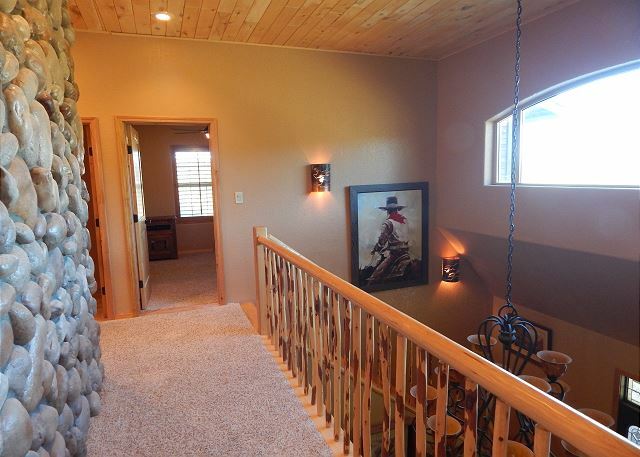 The three story retreat has 5 bedrooms, 4.5 baths and sleeps 14. 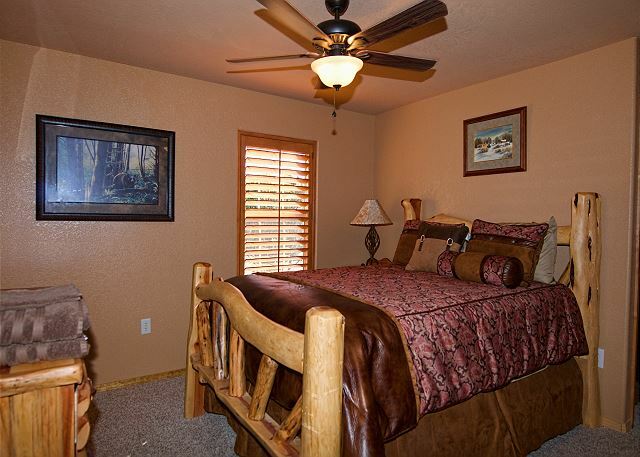 The main floor has a master suite with a sitting/TV Room; a great room with a 65" TV and a gas fireplace; kitchen; dining room; laundry room; and a half bath. 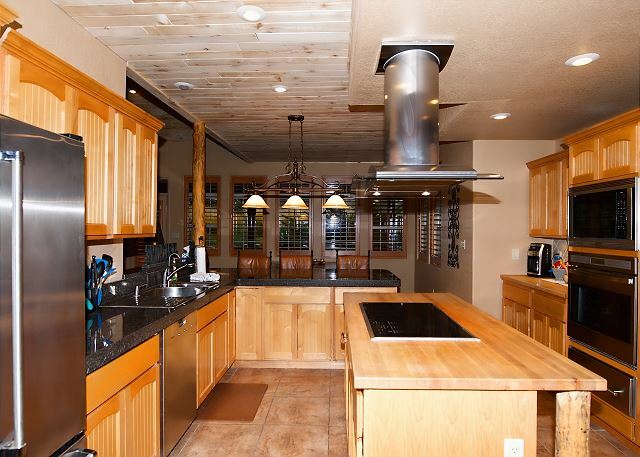 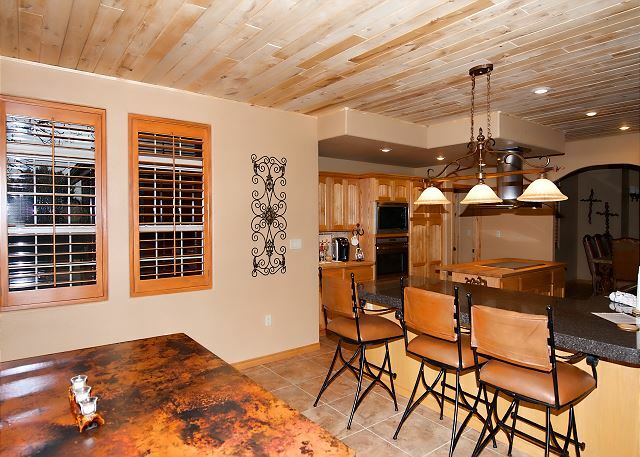 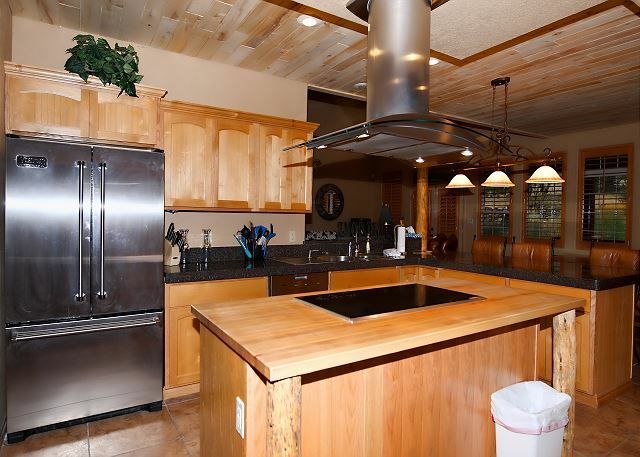 The kitchen is outfitted with gourmet appliances and is stocked with all the cooking implements and spices. 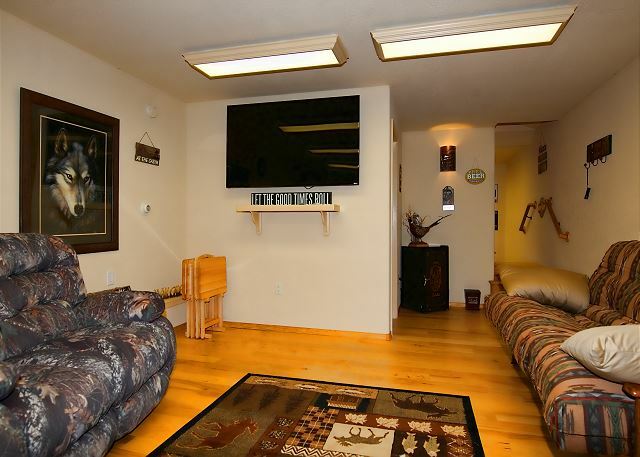 There is a second refrigerator in the attached garage. 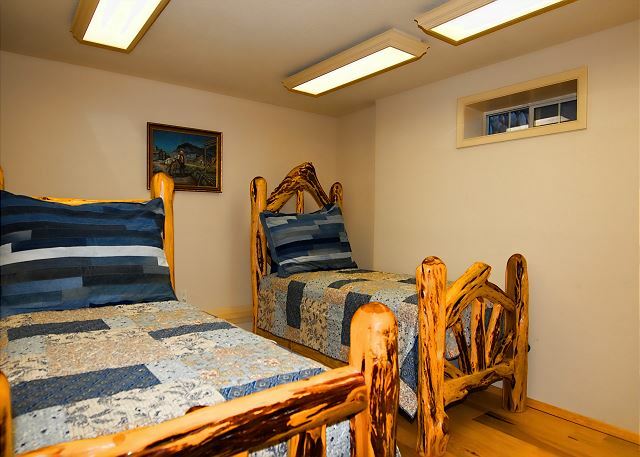 The top floor has a bedroom with its own bath, TV, queen-sized bed and a closet more than large enough to accommodate a baby's crib should you need to keep a little one close. 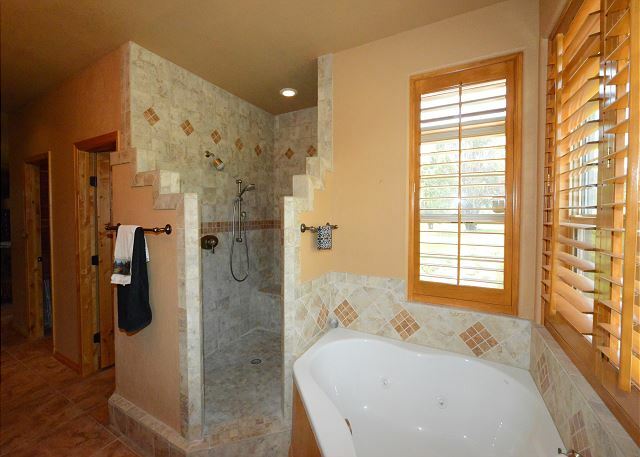 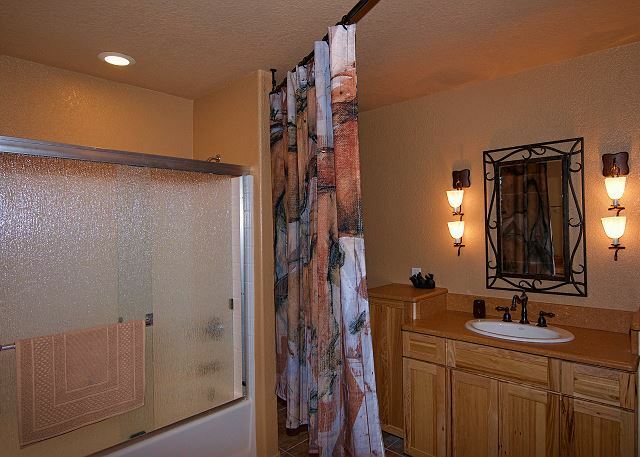 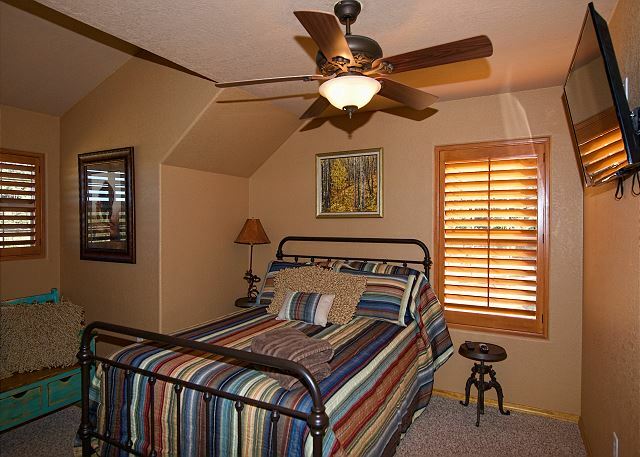 The top floor also has a separate bath and two additional bedrooms, each with a queen bed. 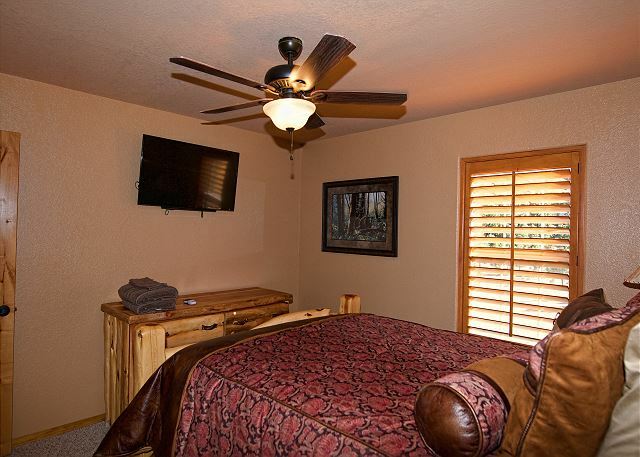 One of the queen bedrooms has a TV. 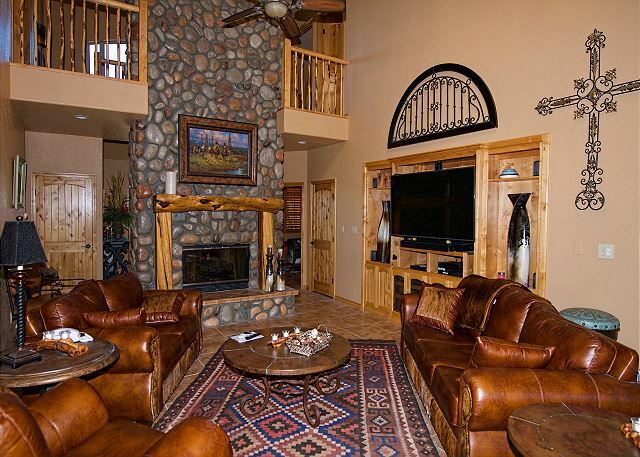 The lower floor has a large room with a 65" TV, seductive recliners and two queen sleeper sofas. 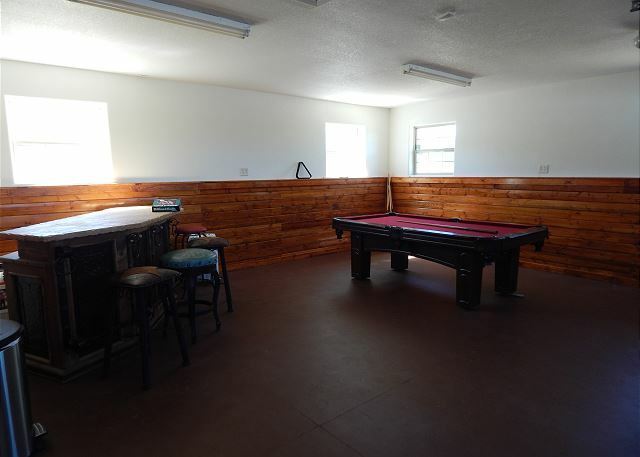 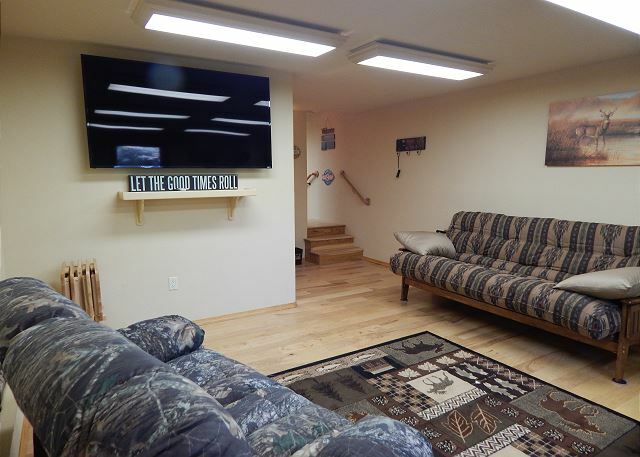 It is the ultimate man cave or kids' hideout. 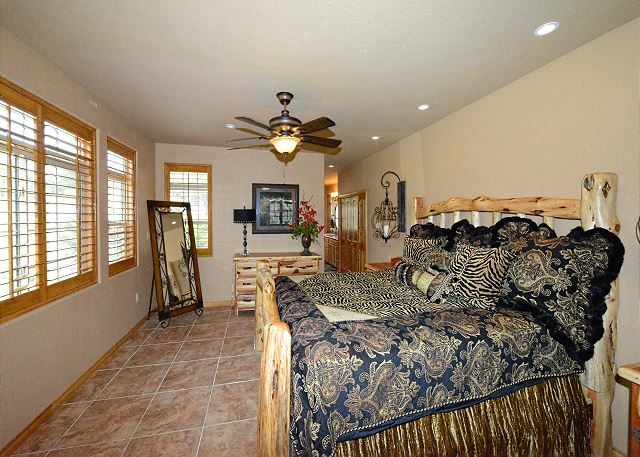 The lower floor has a separate bath and an additional bedroom with two twin beds. 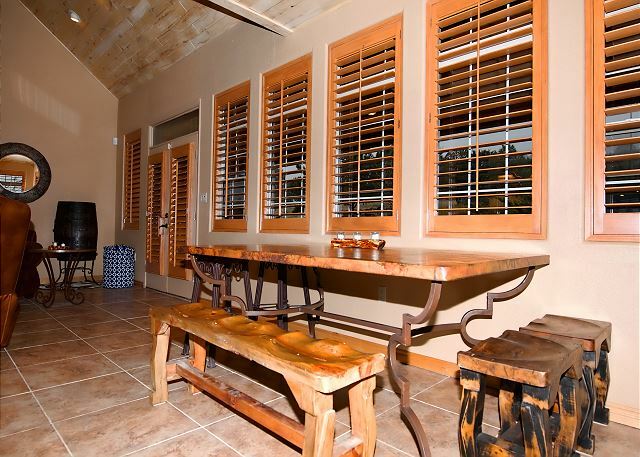 The large back porch, which looks out on to the waterfall, has a table to seat 12 and a large bar. 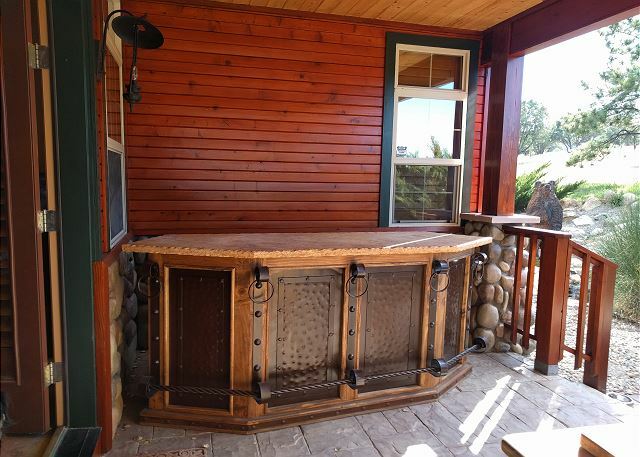 The front porch looks out onto the meadow and fish pond with a swing and recliners. 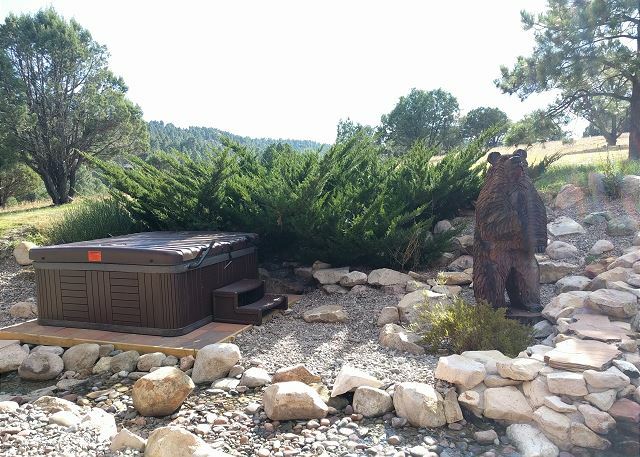 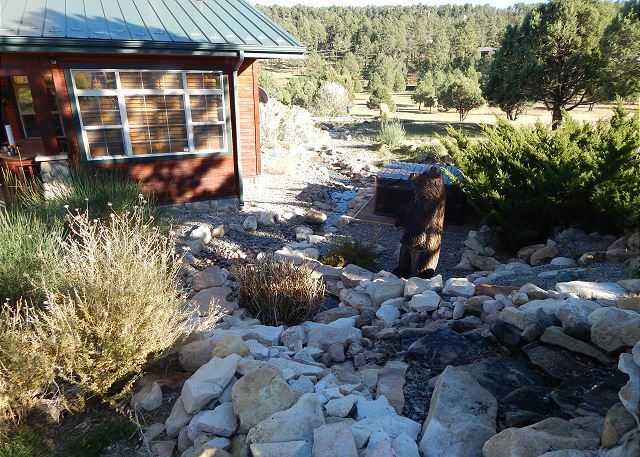 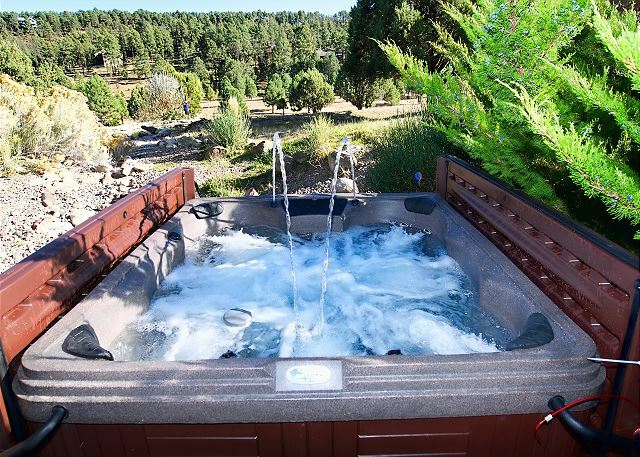 The 6-person hot tub is completely secluded next to the waterfall. 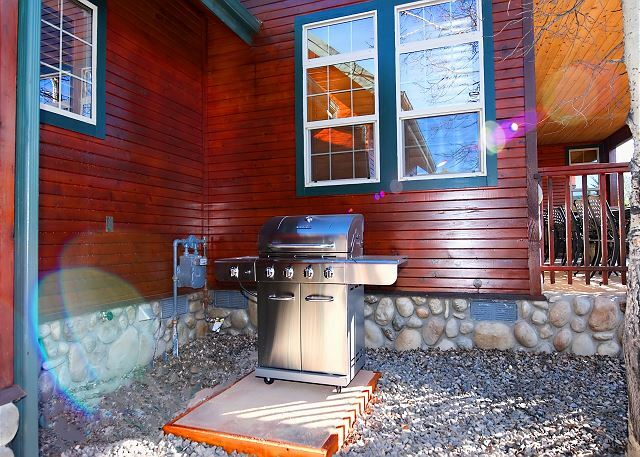 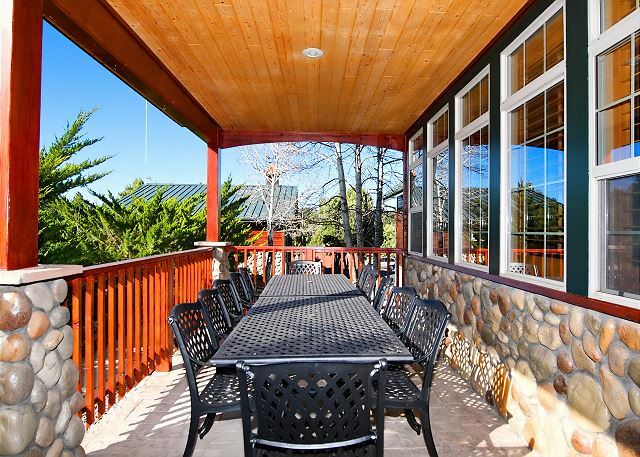 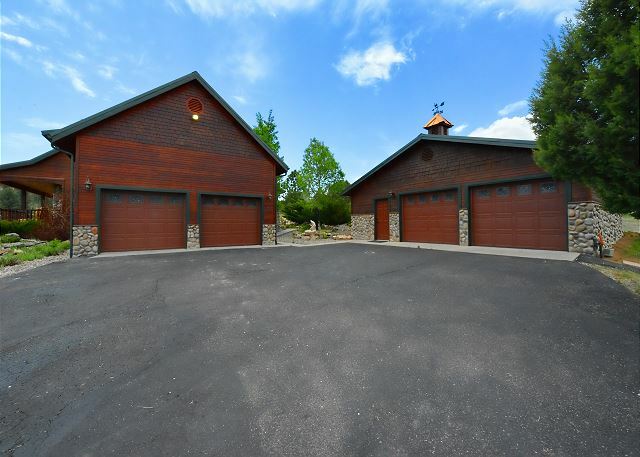 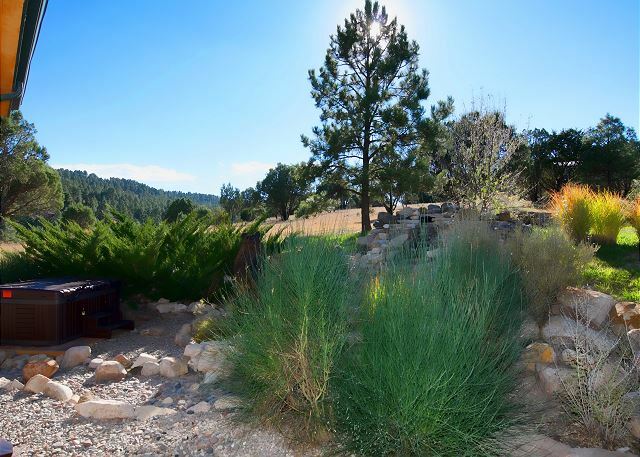 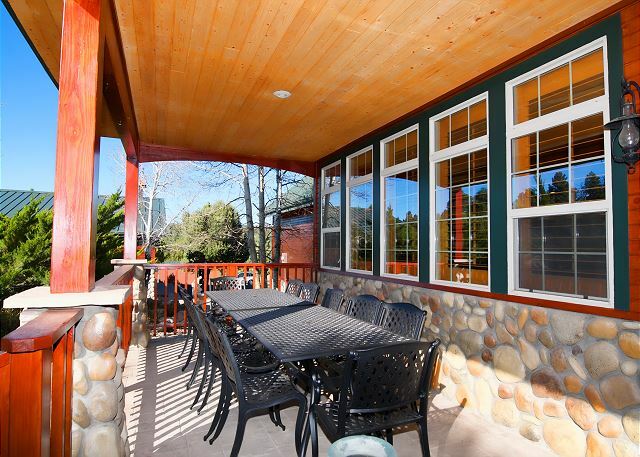 No white knuckle roads or driveways to get to this retreat and there is an abundance of paved parking. 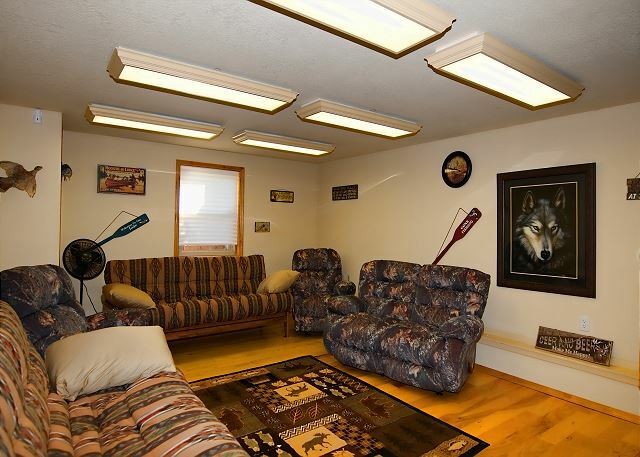 Dogs are welcome but there is no fencing. 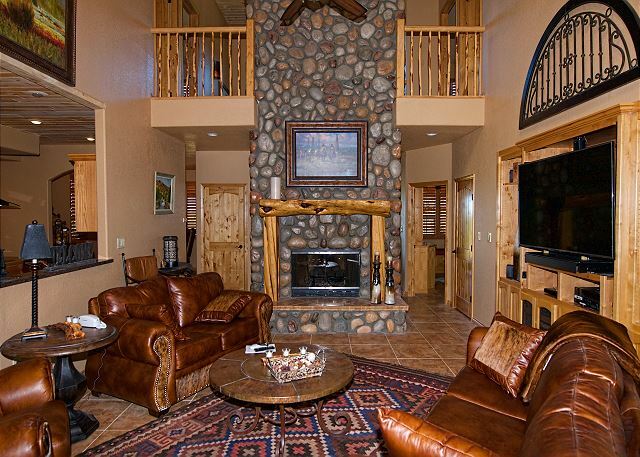 Excellent WiFi and DirecTV. 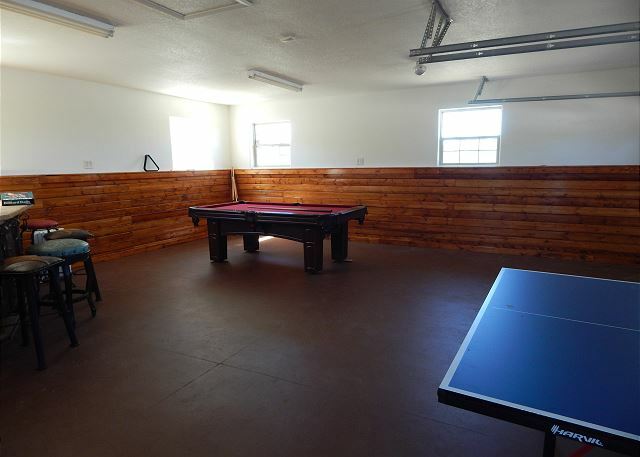 Plenty of room for the kids to run around outside without falling down a cliff. 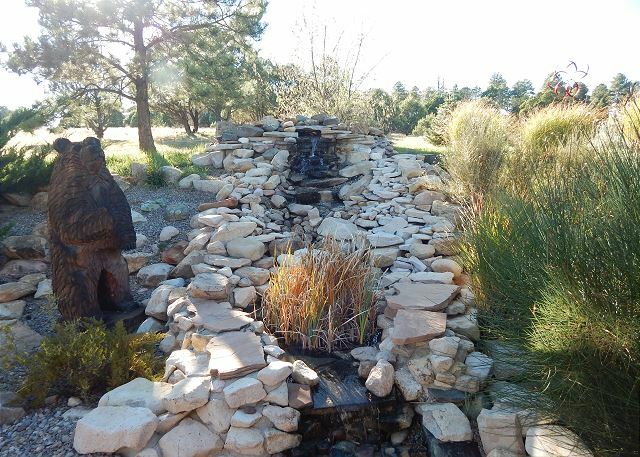 Five minutes to the exit for Ski Apache and 10-15 min to downtown Ruidoso.